During his eight years of administration from 1919-1927, Governor Guggisberg introduced some measures that left a greater mark on the economic, social and political developments of the country than any other period of Ghana’s colonial history. Consequently, it was fitting that any other aspect of colonial rule in Ghana should conclude with an outline appraisal of the policies and work of this extraordinary governor (Wraith 1973:203). Born in Canada in 1869, Guggisberg was taken to England, aged ten, by his mother who remained an English Admiral after the death of her first husband. He entered the army and was commissioned in 1889. After Guggisberg completed his service in Singapore with the Royal Engineers he returned to Britain and became an instructor in his former college, the Royal Military Academy at Woolwich. In 1902 Gordon Guggisberg’s association with Ghana started as an engineer when he was seconded to the Colonial Service and sent out as assistant director to Ghana, to conduct an extensive survey of the country, particularly the concessions. 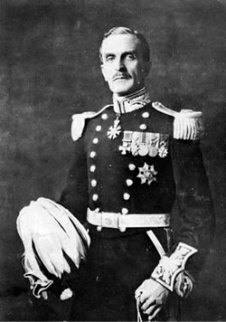 Upon returning to England in 1908 he had gained very valuable experience of Ghana and its people, and was next sent to southern Nigeria as Director of Surveys (Wraith 1973:204-206). Whatever decision I may be called upon to make, I promise the people of Gold Coast (Ghana) that I would be guided by the fact that I am an engineer, sent out here to superintend the construction of a broad Highway of Progress along which the races of the Gold Coast may advance……….. to those far-off Cities of Promise-the Cities of Find Development, Wealth and Happiness. In pursuit of his strong belief in the role of the traditional rulers in the colonial system, unlike his predecessors, they accepted the plea of the Asante (Rotberg 1970:24) and other personalities in the south, and secured the approval of the British government. Upon the assuming office, the Governor outlined plans to improve the health conditions of the indigenous population of the colony, which resulted in establishment of the building of the Korle Bu Hospital in Accra (Curtin 1995:651). Before Gugginsberg, the few hospitals in the country were located in the bigger towns having substantial European populations. Indeed, some of these were built exclusively for European patients, and right up to the beginning of Ghana’s independence were referred to as “European Hospitals”. Gugginsberg extended the medical service to other areas to cater for the indigenous population, but his most outstanding achievement in the medical service was the Korle Bu Hospital, whose first phase was completed in 1923. The hospital was to be extended into a medical school, but this plan was implemented only after the country’s independence (Wraith 1973:228). 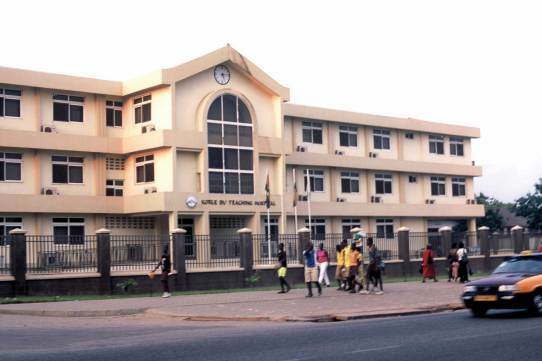 Korle Bu became the “general” and model hospital for the entire nation, to which very serious cases needing skilled, specialist treatment were referred. It brought so much relief to the sick that for many years the people expressed their appreciation in this improvised song in Ga language: Korle Bu, Korle Bu, Korle Bu, Oyiwala donn meaning, ‘Korle Bu, Korle Bu, Korle Bu, how grateful I am to you!’. There is no doubt that Guggisberg’s eight years of administration was the most revolutionary in the development of the country in the colonial days. True to the proverbial sense of gratitude of the people, two memorials were erected by the chiefs, expressing the debt which Ghana owed to Sir Frederick Gordon Guggisberg: an assembly hall at Dodowa, near Accra, where the Joint-Provincial Council of Chiefs met, and a headstone in marble on the Governor’s grave at Bexhill in England (Wraith 1973:229-231).